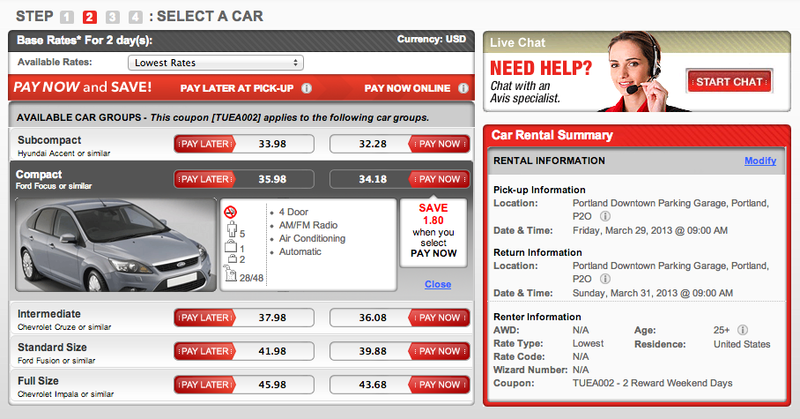 There is a hot deal to get a weekend car rental for FREE (plus small fees) from Avis (hat tip to Mr. Pickles). 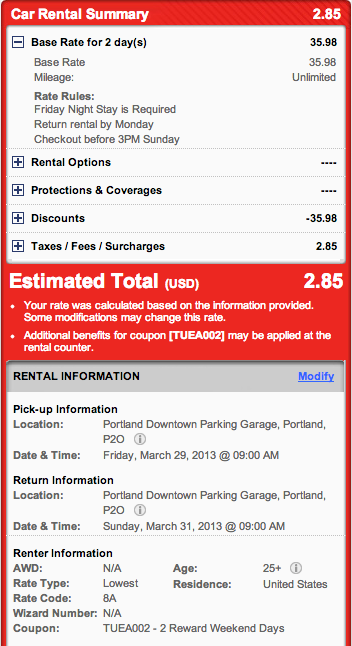 All you need to do is use the AVIS discount code TUEA002 to get a free car weekend rental. The rental wont always be rental $0 because your will have to pay approximately $2-4 of fees. Still, for two weekend days this deal is good enough for me to jump on! 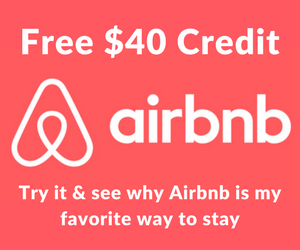 The coupon is not valid in Alaska, the New York Metro area, Canada, Puerto Rico and the U.S. Virgin Islands and is only valid for rentals before June 30, 2013. This deal will be gone way before then, so grab it while you can. 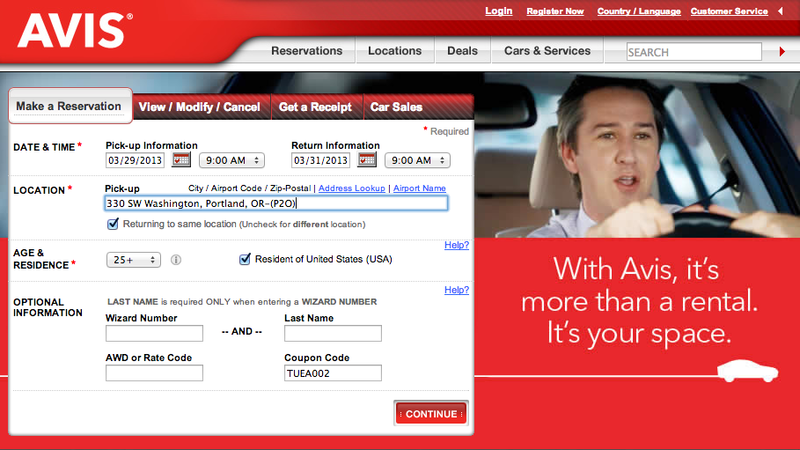 Go to Avis.com and enter “TUEA002” in the “Coupon Code” field. Select a car size from compact to full-size. The discount price will not show until you click to the next screen. Click “Pay Later” so that you have the option to cancel the booking later if needed. This option should not affect the final discount price when using the coupon code. 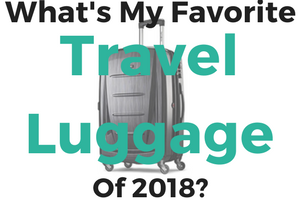 *Don’t forget to enter your airline frequent flyer information to earn more miles. Confirm your discounted price on your weekend rental. Enjoy your weekend car rental for the price of a latte! 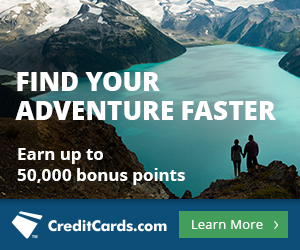 Why not get a free two day weekend car rental? This is a amazing deal that will save you money if you plan on renting a car over the weekend before June 30th. Seize the weekend and safe travels! * If you found this post useful, why don’t sign-up to receive free blog posts via email (max of 1 email per day!) or in a RSS reader …be sure you’ll never miss another update! 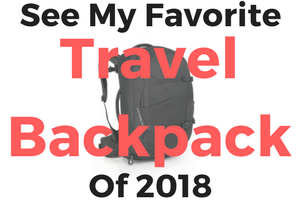 Or follow me on Twitter or Facebook! Did what you said, made the reservation online with Avis, then 9 HOURS LATER Avis wrote to say they canceled it because it was an invalid code. Code was valid with them when I made the reservation, so WTF? Oh BTW, I was able to book from Saturday at 8pm to Monday at 8pm and still only pay the taxes. I can’t find where do I enter my frequent flyer info? Hi Andy! In order to enter your frequent flyer information when reserving a car with Avis you need to upgrade as a Preferred user. To do this you first need to register through their “Wizard.” After you sign up you will receive a confirmation email with a Wizard ID. Log out of Avis, then log back on using the Wizard ID. You will see a section on the top right asking if you would like to upgrade to a Preferred user. Fill everything out and it will ask you for a credit card number, but you won’t be charged anything. After you begin making your rental reservation, the 4th page will ask you for a rewards program and mileage number. It’s a bit of a process, but will get you the miles! Happy Travels! If I book the car for additional days, will this code still apply for the 2 weekend days? Unfortunately it has to meet the weekend requirements, so you have to pick it up on a Friday and return it on by Monday–you cannot add it onto a longer reservation. I booked Thurs – Sun and still got the discount. I’m paying $37 total. I just tried to use code… Says its a paper coupon and it cannot be applied online, how do I get around this? Avis started rejecting the promo code for online reservations a few days after we posted this article. They weren’t expecting such a high volume of people trying to reserve with the promo. It was a great deal so hopefully redeeming it through United will work out for you.